Truvoice Bassmaster 50. This wonderful amp is something of an enigma. The croc skin covering dates it to between 1963 – 1965. Clearly it’s a Selmer amp, and is just like a Treble & Bass 50. Yet the amp carries no Selmer badge on the front panel. There is no evidence of the amp ever having a Selmer badge. Have you seen a similar amp before? 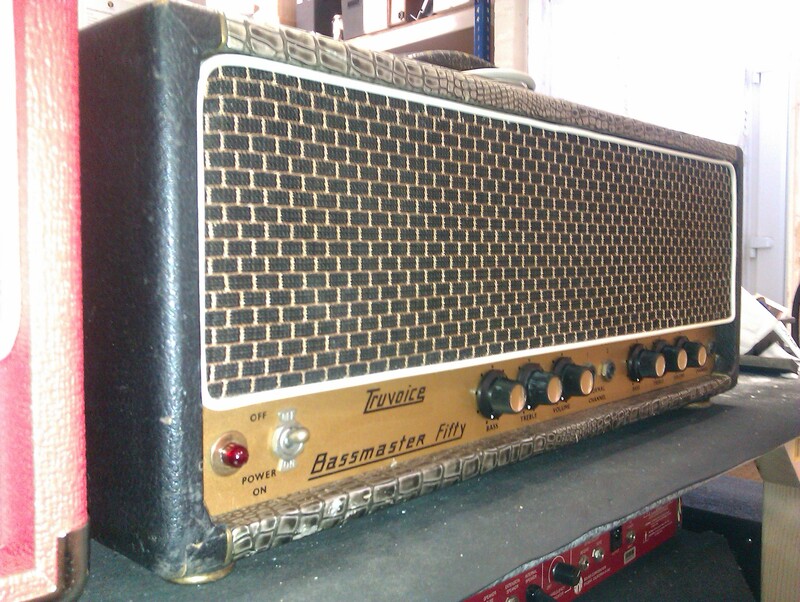 Has the lucky owner of this amp got a real rarity?